This breaks down to £64.37/€77.63 per a day including flights, accommodation and day to day spending and based on two people sharing. If you take away flights and accommodation the total is £258/€311 for the week which breaks down to £32.25/€38.88 for day to day spending. A little over £500 for a week in Europe including flights and accommodation sounds like a pretty good deal to me! I was able to spread out the flight and accommodation costs in the months before I went and then only needed the spending money when it came to holiday time. Being able to spread the costs out makes a holiday much more affordable for most people. Taking our own food on the plane – they really do let food through security so you could even bring home made sandwiches. Not buying so many souvenirs – did we really need to send postcards?! ***Please bear in mind I visited during shoulder season (however this did still fall in the first week on the kids Easter school holiday) when prices are cheaper. For a visit during high season I would expect to spend more! 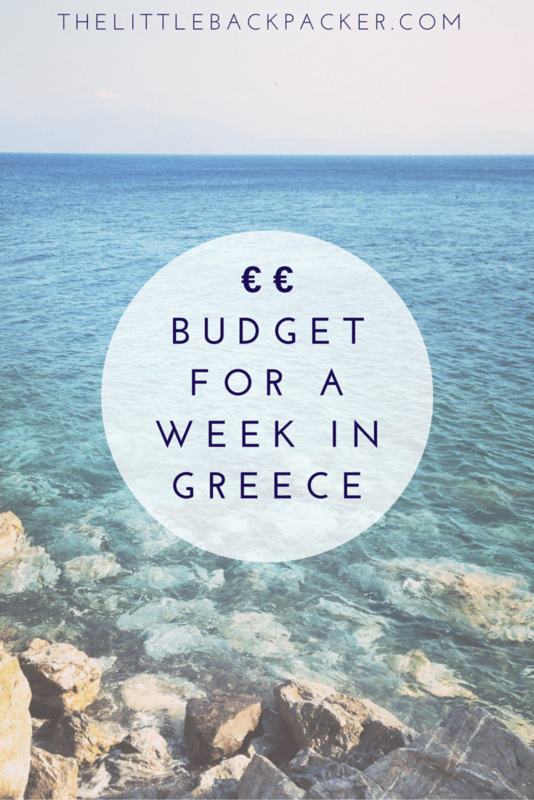 This posts really was what I had been looking for for a while – I’m planning a backpacker trip to the Greek Islands this summer and wanted to know just how big a budget I could expect 🙂 And to me it looks like you guys had a nice time in Kos.. I had a minor panic attack yesterday about how much money I’d need for my week to Puerto del Carmen. It wasn’t my choice of destination(!) so didn’t have time to plan budgets, but this has put me at ease. And looks like you had a great time!